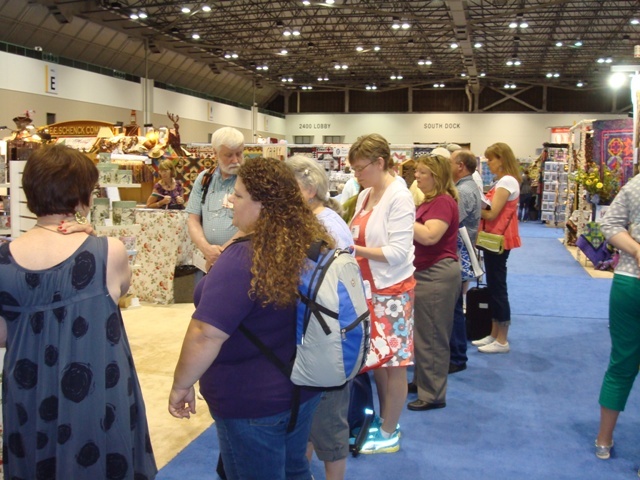 This years spring Quilt Market was in Kansas City. I went as an author for C&T Publishing. On one of the days I was there, I did a school house presentation. 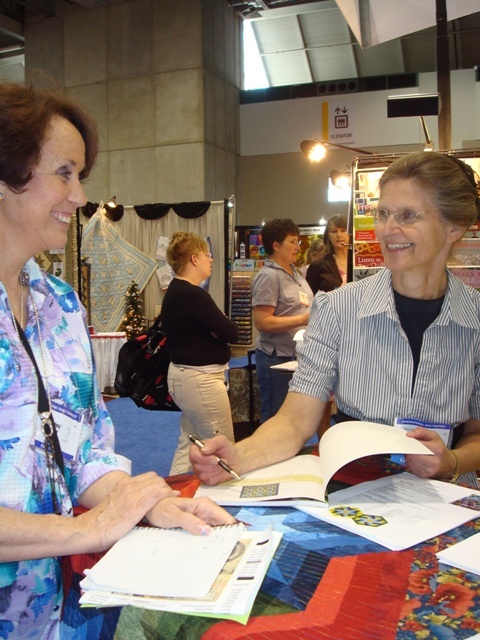 A schoolhouse is a 20 minute presentation of a quilting technique or promoting a quilting product. 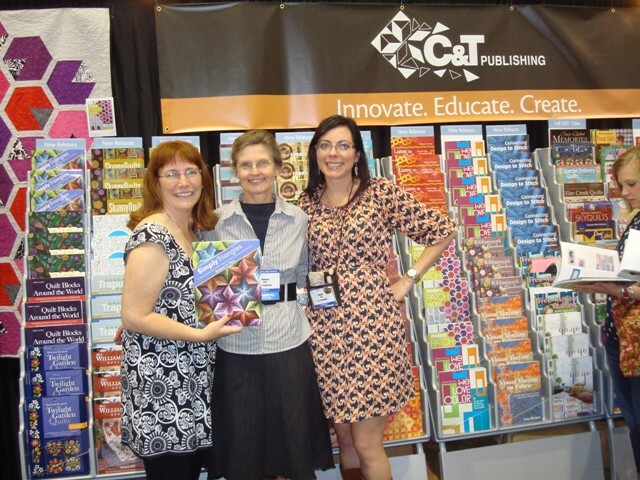 Gailen and Megan have been so helpful to me in the whole process of book publication. Rebekah Meier at her book signing More Fabric Art Collage. Shirley and I at my book signing of Simply Triangles. The line forming for a free Simply Triangles book. 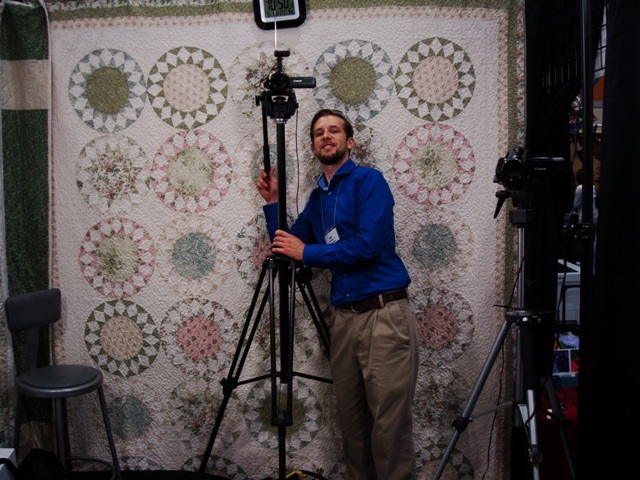 While at Quilt Market, Creative Grids, which is a company that makes quilting gadgets, filmed me using some of their products. 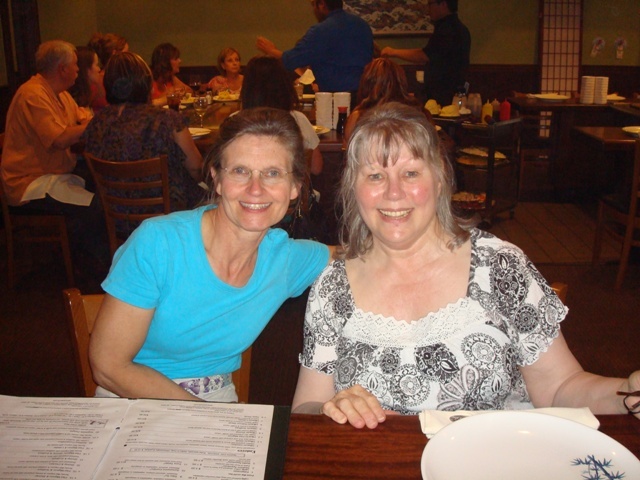 One evening I went out for supper with Ruthmary, another lady I interact with at C&T Publishing. We ate at a Japanese restaurant where they cooked the food right in front of us. 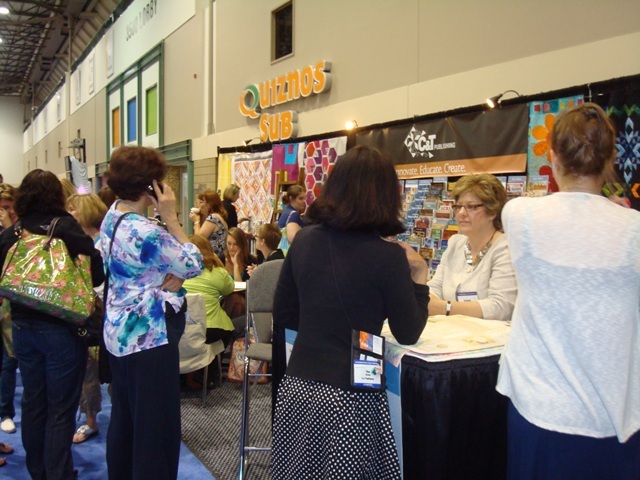 One of the quilts that caught my eye was a modern quilt displayed in front of Michail Miller Fabrics booth. 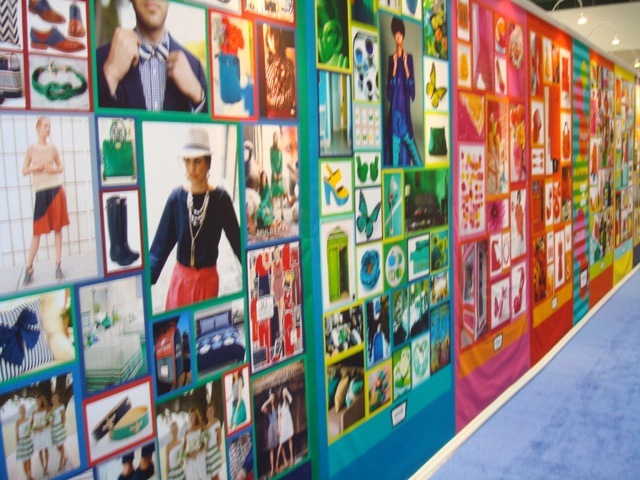 A wall of color at Quilt Market. 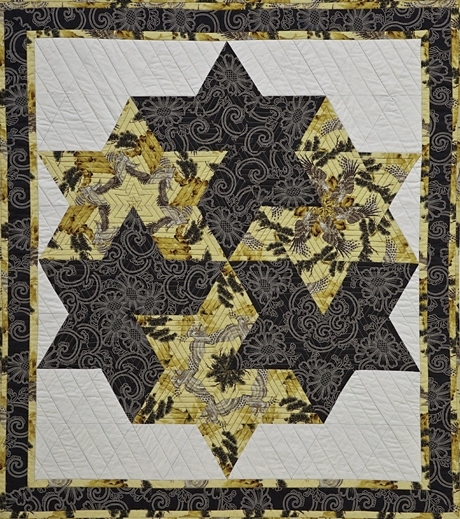 I will be teaching an all day class on this quilt, stacking birds, at Patchwork Plus on June 2nd. 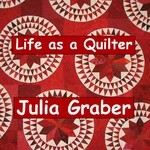 Come join the fun and learn the tricks of: stack and whack and cutting 60 degree triangles. This is a fast project to make. what fun you had and great pictures! 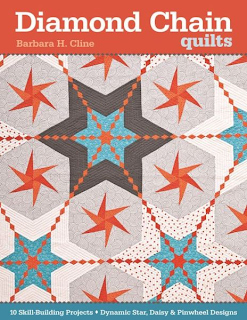 Barbara, looks like a really fun adventure at Quilt Market. 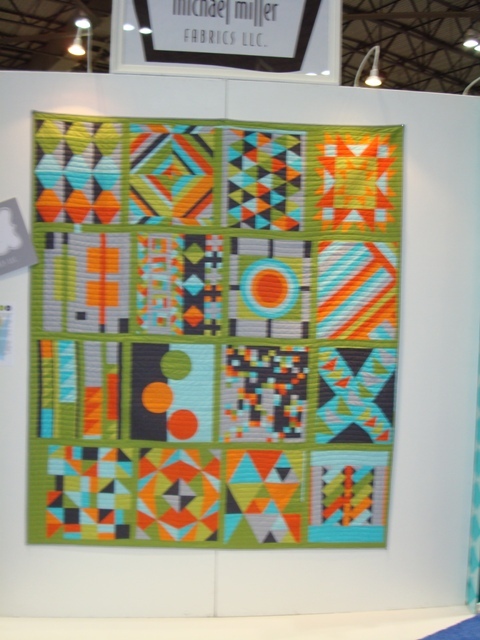 I love the aqua and orange Michael Miller modern quilt. That one would be fun to do! Hi Sandhya, so glad you are enjoying my books. C&T Publishing just accepted my third book, but I really don't know yet when it will hit the market. About a year and a half ago my husband and I were in India. I enjoyed India and hope to get back some day.